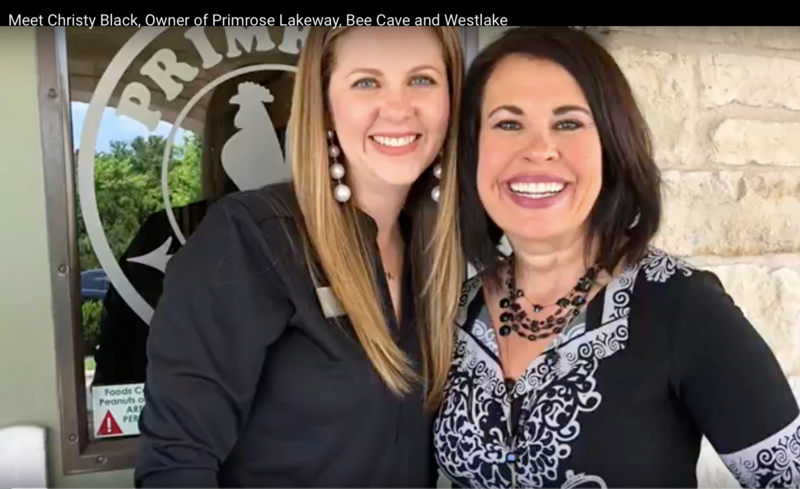 Meet Christy Black, owner of Primrose School in Bee Cave, Lakeway and Westlake. How long have you been in the area with Primrose? We moved here in 2014 to purchase the Bee Cave school. I had already been with Primrose school for seven years at that point. In 2017 we opened Lakeway in February and Westlake in August. Tell me a little about what makes Primrose school special. One good thing about Primrose school is that we are year round. So things don’t stop for us after graduation. We dive right into summer camp mode. We have wonderful programs for children age 5 through 12 years old. They go on multiple field trips each week. We have cooking projects, special science projects. They’re in a fun, safe secure environment where they are learning but they don’t even know that they are learning. They have tons of fun! We are open 6:30 to 6:30 to accommodate when most parents need child care. What’re you doing in the community that people can look to and say how can I benefit from associating myself with Primrose schools? One thing we do as a company is we are very philanthropical. Quarterly, we have events that we go to as a team of all 3 schools combined. Aside from that, the thing that’s super helpful is just helping moms out. We provide Discovery Days at our schools. Say you’re having a hectic week and just need a free mom day. You can bring your child here. It has a double agenda… we hope they come hang out with us and decide to enroll with us. More than likely you’ll end up loving it, they’ll end up loving it, and we’ll end up with a new member of our extended family. How can a realtor take advantage of these Discovery Days? The best way is that any realtor that contacts us and says they have a showing on a weekday for a client who has children with them, we’ll let them leave their kids with us for a Discovery Day. Our doors are always open to realtor friends because we know it’s always easier to show a house without children than with them. So why not let them come hang out with us for the day and have some fun?